This week we had a request from the Russian Embassy to the UK. They “tagged” us in a Twitter post about the former UK foreign secretary William Hague. There’s lots of claim and counterclaim in there – let’s break it down. Figures from the Russian government show that the country’s population has indeed risen by 4 million since 2010 – it was measured at 142.8 million seven years ago, compared to 146.8 million today. But Russia annexed the Crimea over that period, and this year is the first time that people living in the region have been added to the national tally. Take a look at the 2016 population figures, which show six regions in the South Federal District of the Russian Federation, with a combined population of about 14 million. Now look at the figures for 2017. The 2017 stats show that two new areas have been added to the South Federal District – the Republic of Crimea and Sevastopol City. These increases the population of the South Federal District by 2.3 million people in 2017, which is added to the national total to make 146.8 million Russians. 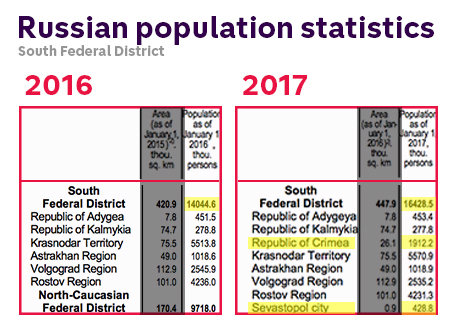 So the Russian population has grown by 4 million since 2010 as the Embassy says, but more than half of that increase has come from annexing the Crimea. And even without the Crimea boost, this analysis suggests that Mr Hague is right that Russia’s population is in long-term decline. Monthly birth rates are between 10 and 15 per cent lower in 2017 than they were last year. The analysis predicts that there will be a net loss of 157,000 Russians in 2017. 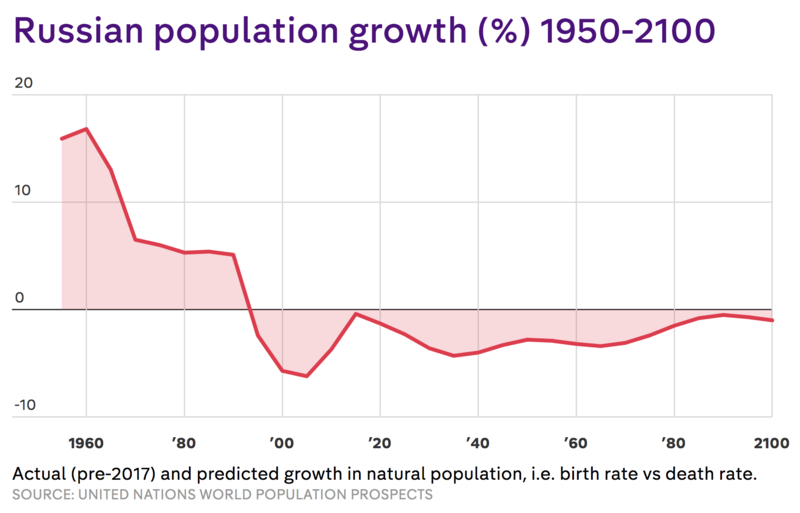 This trend is set to continue, according to the UN Population Prospects report, which anticipates a decline in “natural” population growth in Russia. In other words, more Russians dying each year than being born. Here’s how the UN predicts the natural population will change between now and 2100. The Embassy’s reply refers to GDP as measured in by purchasing power parity (PPP). This is one way of measuring a country’s GDP – it takes account of the cost of living as part of the calculation. International Monetary Fund (IMF) data shows that Russia’s GDP PPP in 2017 is equal to 4 trillion “international dollars”. By that same measure, the UK’s GDP PPP is just under 2.9 trillion international dollars. That means Russia’s GDP purchasing power parity is indeed 40 per cent larger than the UK’s. Bu Mr Hague didn’t actually refer to purchasing power parity, and in fact, GDP is more commonly measured in a variety of other ways. Russia’s GDP per capita is $10,250, compared to $38,850 in the UK. That means the UK’s GDP per capita is 279 per cent higher than Russia’s. Total GDP in current prices shows that as a whole, the UK economy is worth $2.57 trillion, compared to Russia’s $1.47 trillion. The World Bank uses total GDP to rank economies. 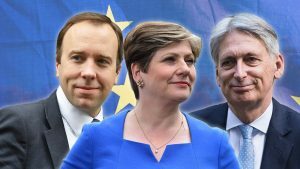 The most recent ranking puts the UK at fifth in the world, compared to Russia in twelfth place. Mr Hague also said that Russia was experiencing “rising death rates among men”, to which the Embassy replied: “male life expectancy up by 1 year in 2016/17”. It’s true that life expectancy at birth rose from 65.9 years for boys born in 2015 to 66.5 years for boys born in 2016. But that’s not what Mr Hague was referring to. 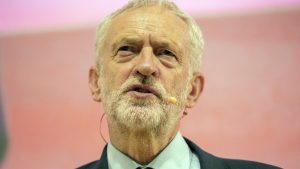 His claim was about “death rates”, which is the number of people from a section of the population who die during a particular period of time. It’s usually measured in deaths per 1,000 people per year. The good news for Russia is that death rates among men have fallen significantly since 2000, although the pace of change has slowed since 2013. The bad news is that male mortality in Russia remains significantly higher than other major economies. A 2015 study in The Lancet found that 25 per cent of Russian men die before they are 55, mainly due to alcohol. That’s compared to 7 per cent in Britain. According to data from the International Trade Centre, oil, gas and energy exports are falling as proportion of all Russian exports by value. This could support the claim that non-energy exports are growing. 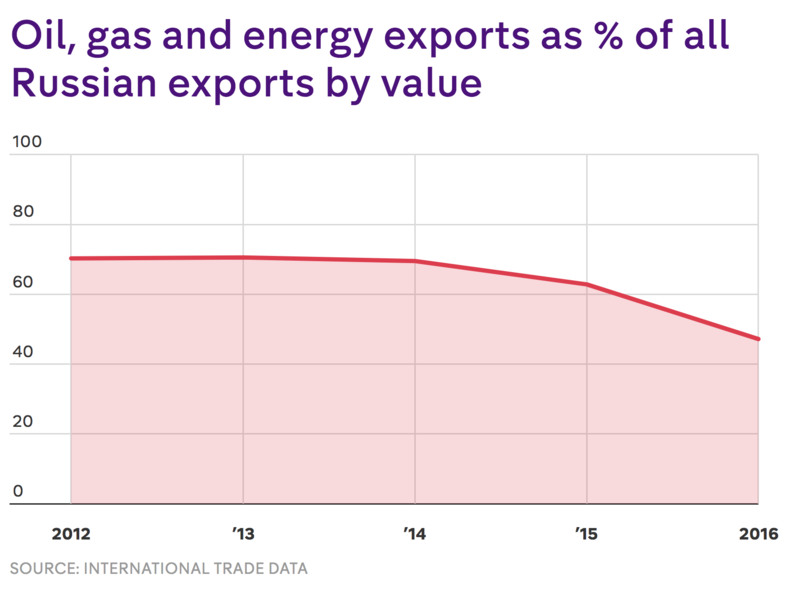 But nevertheless, oil and gas exports still account for around half of all Russia’s exports by value. Some estimates put the figure at 60 per cent. Indeed, analysis by the World Bank from 2016 finds that “compared to its peers, Russia’s ability to expand into new markets has been limited, and its trade profile has become increasingly concentrated since 2008. So while non-energy exports is growing as a proportion of Russia’s exports, the country is starting from a low base. It’s fair to say that Russia’s exporters still rely heavily on energy – especially oil and gas. But perhaps more importantly, the Embassy is disputing a claim that Mr Hague didn’t necessarily make. Looking at Mr Hague’s exact words, it’s not clear that he was talking about exports at all. It’s possible that he was referring to Russia’s reliance on oil and gas as energy sources. In which case, the Embassy’s focus on exports doesn’t really answer Mr Hague’s claim. And when we look at Russia’s energy market, it’s fair to say that the country is highly dependent on oil and gas. Just 3.6 per cent of total energy consumption comes from renewable sources – compared to a world average of 18.3 per cent in 2014. The Embassy is right that the Russian population has grown by 4 million since 2010. But more than half of that increase has come from Russia’s annexing of the Crimea in that time. And there’s evidence to suggest that William Hague is right about the long-term decline in population numbers. On GDP, the Embassy is right that Russia’s purchasing power parity is 40 per cent higher than the UK’s. But this is only one way to measure GDP. UK GDP per capita is nearly three times higher than Russia’s. The UK economy ranks fifth in the world in terms of total GDP, compared to Russia in twelfth place. 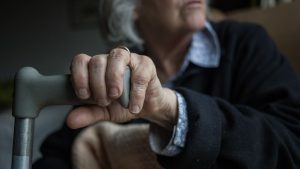 The Russian Embassy has used accurate statistics on life expectancy to rebut Mr Hague – but his claim was about the separate issue of death rates. However, we’re not sure where Mr Hague’s claim that male death rates are rising comes from. Nevertheless, male death rates in Russia remain high. There’s evidence that non-energy exports are growing, as the Embassy suggests, but it’s fair to say that Russia remains heavily reliant on oil and gas for its exports, as Mr Hague says. If Mr Hague was talking about the country’s dependence on fossil fuels for energy, he’s right. Just 3.6 per cent of its energy consumption comes from renewables. Usage of the term Fact check doesn’t equate to either a tag nor a request to CH4. Emphasis upon the term annexing in regards to the Crimea has little basis aside from FCO directives. Mr Hague has illustrated his bias and prejudice against the Russian Federation numerous times, as such his motives can only be seen in that light. CH4 fact check intentions are in unison with other state media outlets, undermine Russia. Hi, if you look at the original tweet from the Embassy you’ll see they tagged us in the photo. 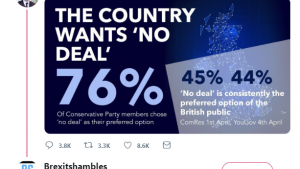 It would seem that C4 has a higher interest in Russia than the people it SHOULD be interested in…..the ones that pay their wages. C4 as usual fostering aggression with Russia. But thats usual for C4 hiding reality in the UK.